Our Grade 7 class will be enjoying a day at BORC, Outdoor Education centre this Friday, December 8, 2017. With hands-on artifacts and experiences, students have the opportunity to learn about the life and times of our early settlers and how they worked with the land. 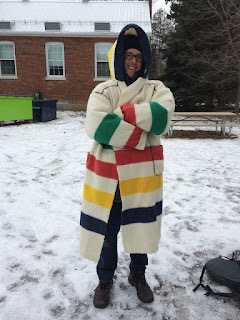 Last year, Mr. Kaiman got to try on an official Hudson's Bay trapper coat...do you recognize the colours? When learning of Canada's history whether in the classroom or at experiential learning environments such as BORC, we start by acknowledging that we are on the traditional territories of the Wendat, the Haudenosaunee, and the Anishinaabe peoples, whose presence here continues to this day. We also would like to acknowledge that Westminster PS is located on the lands subject to the Toronto Treaty #13 and the lands of the Mississaugas of the Credit. We thank them and other Indigenous peoples for sharing this land with us. We would also like to acknowledge the Chippewas of Georgina Island First Nation as our closest Indigenous community and our partners in education. 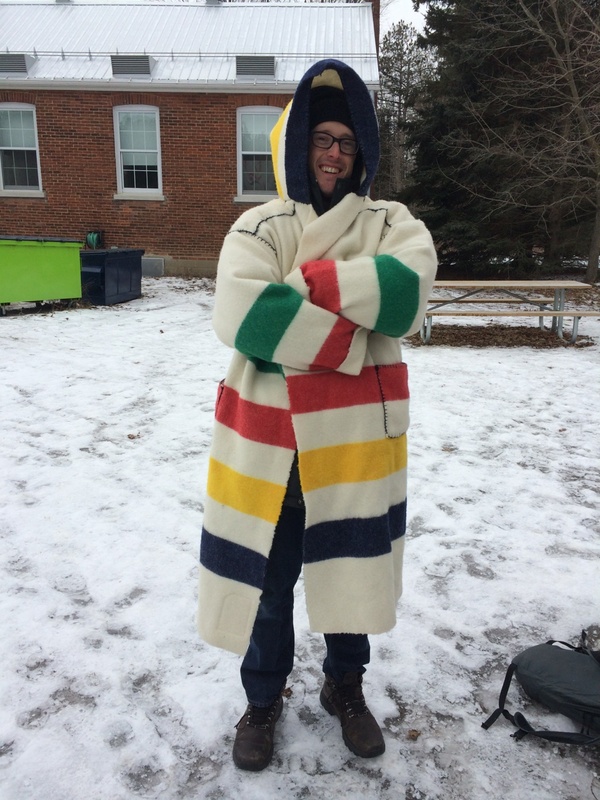 For their field trip to BORC, students are asked to dress appropriately for the weather. The day will include both indoor and outdoor activities. More specific information about the day's activities was sent home to parents earlier. If you have any questions please speak to your classroom teacher. We're sure our students will have a fun-filled and educational day!